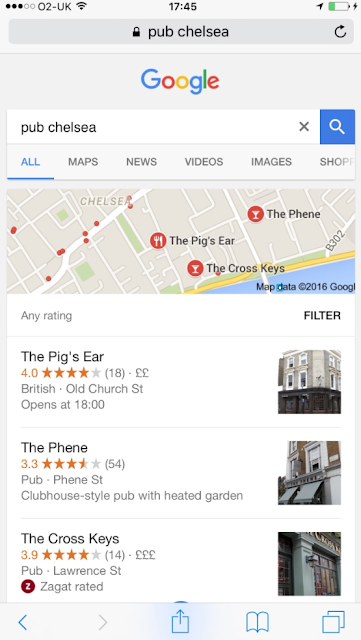 HelpHound Blog: Restaurants (and Pubs) - don't get filtered! 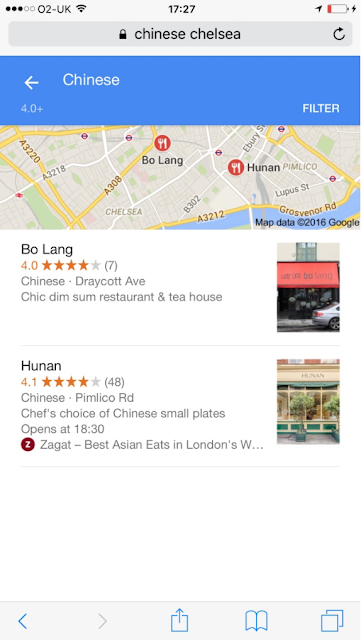 Google's filter is now operational on all mobile platforms. 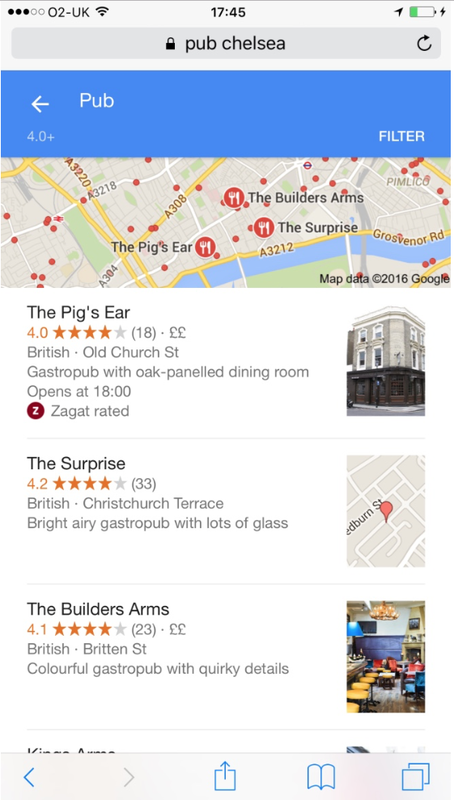 If you don't need any web-driven business you may as well stop reading this now, but if you have spare capacity (as so many London pubs in this article did back in 2014) please read on. Those looking for a great restaurant or pub (or hotel, for that matter) will be offered the opportunity to filter you out of search. The two remaining restaurants, Bo Lang and Hunan, should not rest on their laurels: a single one star review to add to the seven reviews it's already received will drive Bo Lang out of filtered search as well (and a similar small handful will do the same for Hunan). 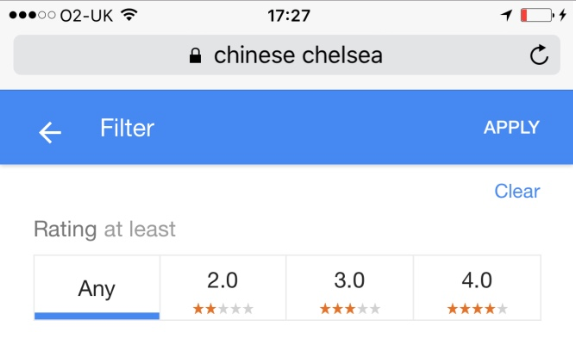 No less than eight of the ten Chinese restaurants in Chelsea have been filtered (either for scoring at less than 4.0 out of 5 or because they have fewer than five reviews). Useful for the consumer? Well, we asked a random selection and out of twenty-five people questioned they all thought so. Useful for businesses? Absolutely: providing they score 4.0 or better! Never has there been a stronger case for businesses of all kinds to employ professional review management, and to do so before use of the filter becomes an everyday activity amongst your customers, but more importantly those businesses that stand to gain most from mobile search: any business connected to hospitality and tourism.